Even after putting your security system in place, you should consider testing it regularly. Whether we’re talking about a residential or commercial system, we want it to make sure it’s up-to-date and fully operational. Today, it’s easier than ever to test whatever features you have. Especially when you work with an experienced company—like ARM Security Systems—that’s able to walk you through the process. At a minimum, you should plan to test your security equipment once a month. Whether you have a full security panel, a doorbell camera, smart locks, garage door controls, indoor/outdoor video cameras, and smoke/CO2 detectors, most manufacturers recommend monthly tests. Even if you think you use your equipment regularly, it never hurts to make sure everything’s performing optimally. Some security experts recommend conducting your test(s) on the same day of each month to turn this process into a habit. While that makes it easier to remember, that also makes it predictable. You don’t want to share this information with too many people or give criminals a free pass through your security system. Keep in mind, you may need to conduct other unscheduled tests throughout the month, if something comes up. You may also encounter situations which demand additional testing. Why would you need to doublecheck your security system unexpectedly? Well, if you’ve had maintenance workers in your residential or commercial facility lately, you may want to test your security equipment after they’ve finished. While they may not have interfered with your system intentionally, they may have inadvertently tripped your connection or equipment position while performing their work. Still, you want to find out about this change as soon as possible, so we can help you correct it. Before and after traveling is also a good time for additional testing. Not only will this give you peace of mind about everything working during your absence. But it can also alert you to any changes your house sitter(s), babysitter(s), and/or pet sitter(s) may have made. Sometimes people who are unfamiliar with a security system will disable certain features to make access easier for them—though not necessarily with poor intent. But you’ll need to turn them back on, if that’s the case. Since many security systems and monitoring services rely on remote connections, any changes to your internet should trigger additional testing. Whether you’re just having connectivity issues onsite or you’ve switched providers recently, we want to know about it! Especially when we’re recording and backing up your security footage, we don’t want any poorly-timed lags or disconnections. If you’re having technical difficulties or making changes, just let us know. One of the most basic guidelines for testing your security system is to warn people ahead of time. We’ve all adjusted to having regular drills and test alerts, but there’s no reason to cause unnecessary concern. In an office setting, you can send an email around, alerting everyone to the potential disruption. At home, this may just involve a quick conversation or text. If you have a particularly loud system or outdoor lights/alarms, consider forewarning your neighbors, too. Whatever you do, don’t forget to include us! Not only can we help you test your security equipment, but we’ll also need to know it’s a false alarm. Otherwise, we may send emergency responders to your property as a matter of procedure. Hopefully, now you have a better idea of how often you should test your security system. If you feel you’re not conducting tests frequently or effectively enough, please don’t hesitate to contact us! 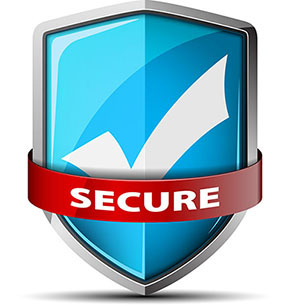 At ARM Security Systems, we’re here to make your residential and commercial security easier. As well as to provide you with peace of mind. By ensuring all your equipment is working properly, we can give you the protection you deserve!